Team news for Tuesday's League One clash between Oldham Athletic and Sheffield United at Boundary Park. 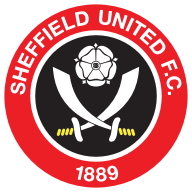 Oldham are unlikely to keep the same starting line-up for an eighth successive game in their penultimate fixture against Sheffield United. Latics have kept an unchanged XI for seven straight games - a feat only achieved by three of the other 72 Football League clubs - but they will not become the first side this season to name the same team for an eighth consecutive fixture with boss Lee Johnson vowing to make changes. Johnson revealed some of his players have minor niggles which will force his hand. 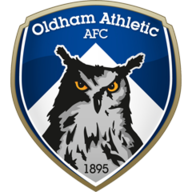 And with Oldham having confirmed their place in the third tier of English football for an 18th successive season, it could give the likes of captain Korey Smith (knee) and midfielder David Worrall (groin) the chance to rest. Winger James Dayton came off the bench to net the winner at Carlisle on Saturday so could be pushing for a start. Defender Genseric Kusunga (hamstring) and midfielder Anton Rodgers (groin) have been long-term absentees. Sheffield United defender Neill Collins is a doubt for their clash with Oldham. The centre-half limped out of Friday night's clash with Port Vale and was replaced by Matt Hill. Collins remains doubtful so Hill could be handed a start. Boss Nigel Clough has no other fresh concerns, so Bob Harris remains the only confirmed absentee as the left-back recovers from a groin injury. Clough has indicated that he could utilise his full squad, though, as he contemplated changes with nothing riding on the Boundary Park clash.